This was actually one week late post..and honestly I really feel bad I couldn't find time to make a review for this. Last week we went out some kinda late for a stroll in Dubai Festival City and it's already in our plan to drop by to Dome Cafe in Burjuman Center for a dinner. We arrived by 9:00 past and all the seats outside was occupied so we decided to just have a seat inside. By the way, there is a ongoing construction and you need to go out of the mall and walk like 10 mins. to reach Dome. This is our first time to visit and honestly I'm more impressed in Jumana branch. The place is more bigger but kinda old but still the customer service is a winner. 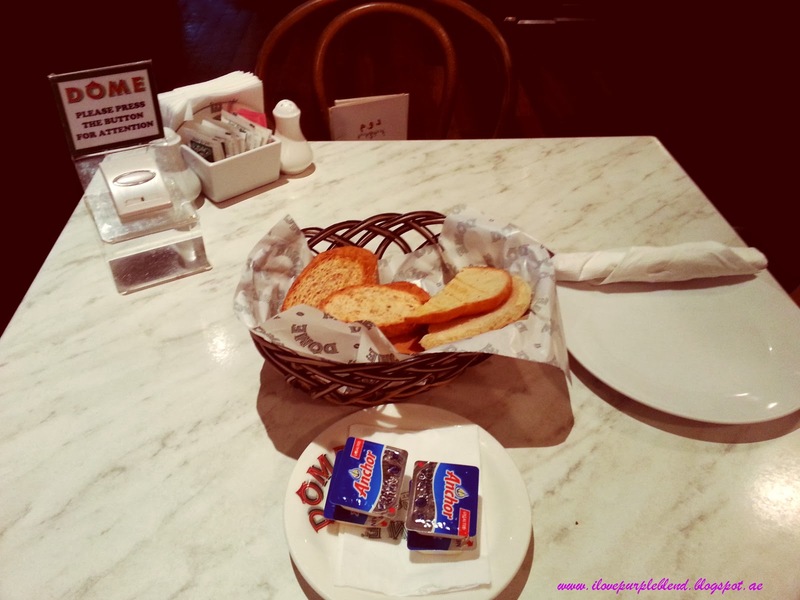 The in-house bread with butter I didn't bother to touch these coz I'm sure when I finish this one I'm already full. I'm reserving my tummy to more healthy and real food. And there it is the tiny botton I find so useful to all customer - I super love this one!!! 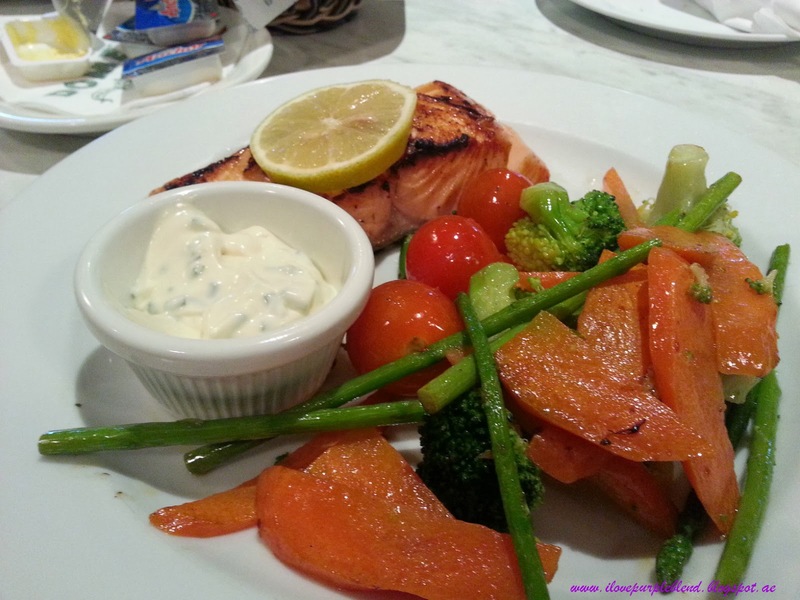 I had Grilled Salmon with dill mayo and vegetable side dish which includes asparagus, broccoli, carrots and baby tomatoes..these lovely veggies are cooked perfectly crispy and sweet. The salmon is cooked perfectly as well it still moist and tender. 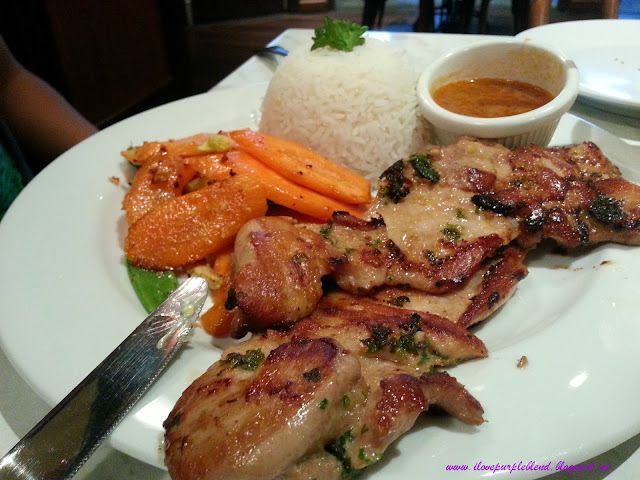 Hubby had Grilled Chicken with rice and veggies. He's about to order the chicken green curry but as per the wait staff it's kinda spicy..so he settled with this. As per him, when you put in the sauce it taste like "Chicken Afritafa" hehehehe!! The overall experience with the real food of Dome cafe is superb..Healthy and yummy! !